Rigaud is a municipality in southwestern Quebec, Canada in the county of Vaudreuil-Soulanges in Vallée-du-Haut-Saint-Laurent region. The municipality is located at the junction of Ottawa River and Rigaud River. It is situated about 70 kilometres west of downtown Montreal and 130 kilometres east of Ottawa. The population as of the Canada 2011 Census was 7,346. The Order of the Crown is a national order of the Kingdom of Belgium. The Order is one of Belgium's highest honors. Lise Bissonnette is a Canadian writer and journalist. Marc Lalonde, is a Canadian retired politician and Cabinet minister. Paul Mathias Tellier, is a Canadian businessman and former public servant and lawyer. Wilbert Joseph Keon, OC is a heart surgeon, researcher and was a Canadian Senator. Laurent Robert Beaudoin is a Canadian businessman from Quebec. For many years he was the CEO of the transportation company Bombardier. Pierre Claude Nolin was a Canadian politician and Senator. A prominent member of Conservative Party of Canada from 2004 till his death, he became an influential strongman in the Party's parliamentary caucus. Joseph Honoré Gérald Fauteux, was the 13th Chief Justice of Canada from 1970 to 1973. Maurice Riel, was a Canadian lawyer and Senator. Bernard Jack Shapiro, is a Canadian academic, civil servant, former Principal and Vice-Chancellor of McGill University from 1994 to 2004, and the first Ethics Commissioner of Canada between May 17, 2004 and March 29, 2007. Paul-André Crépeau, was a Canadian legal academic who led the reforms of the Civil Code of Quebec and the Quebec Charter of Human Rights and Freedoms. Roch Bolduc, is a former Canadian civil servant and Senator from the province of Quebec. 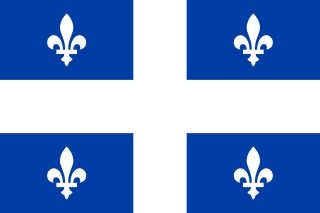 Option Canada was a Montreal-based lobby group established some eight weeks before the voting day of the 1995 Quebec referendum on sovereignty. According to registration papers filed with both the Canadian and Quebec governments, the private group was incorporated by executives of the Canadian Unity Council on September 7, 1995. The group was disbanded soon after the referendum was over. George P.G. Springate, is a Canadian police officer, politician, football player, professor, and Citizenship Judge. Gérald R. Tremblay, is a Canadian lawyer practising law in the province of Quebec. The University of Ottawa Faculty of Law is the law school at the University of Ottawa, located in Ottawa, Ontario, Canada, the nation's capital. Established in 1953, the faculty is today divided into civil law and common law sections, the two formally recognized legal traditions in Canada. The faculty is very highly rated and maintains close links with the legal communities in Quebec, Ontario and abroad. The faculty of law is also home to two highly respected bilingual law journals, one produced by the civil law section and the other produced by the common law section. Michel Chrétien, is a Canadian medical researcher specializing in neuroendocrinology research. Alexandre Beaudoin is a Quebec fingerprint scientist known for inventing a technique for developing latent fingerprints on dry and/or wet porous surfaces.